When it comes to eating and drinking in Cadiz, you’ll be spoiled for choice with a wonderful mix of restaurants, tapas bars and cafes dotted through the labyrinth of skinny streets. 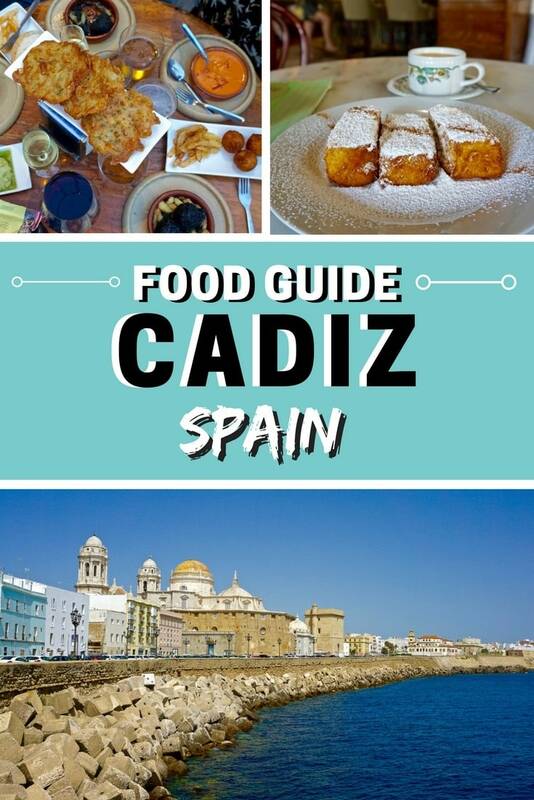 Here’s my guide to the best Cadiz restaurants. Picatostes, chicharrones, tortillitas de camarones and so much more! I well and truly ate my way around Cadiz and lapped up its regional cuisine. In fact I ate for three days solid. I couldn’t stop. At times it was too much, but shhhh, we don’t talk about that! Oh and the wine – that was great too! And sherry… who knew that sherry wasn’t JUST for grandmas? So, as mentioned in my ultimate travel guide to Cadiz, to truly get in sync with the city, you need to adjust your body clock. Gone is lunch at 1pm and dinner at 7pm. After a standard breakfast around 8am, you’ll stop for a drink and a light bite around midday, lunch at 3pm and then dinner after 9pm. Of course, you’ll break up your day with a siesta between 3-5pm, especially in the summer months when the city is at its warmest. So whether you’re looking for a tasty twist on tapas, a sugary treat or fancy going where the locals go, here’s my guide to the best restaurants in Cadiz. Let’s kick off with Cadiz’s most famous bar! If you’re visiting the city, you HAVE to eat at Casa Manteca. This characterful tapas bar attracts a mix of tourists and locals, and once inside, you’ll be amazed by how many pictures are covering the walls. It feels like a treasure trove of history with key moments from bull fighting, Cadiz’s carnival and more. The food is cheap and tasty, with the house speciality being chicharrones – a type of pressed pork served on waxed paper. I loved the roasted peppers stuffed with prawn and cod, and the cheese with asparagus jam. Drinks are very reasonable too, so it’s somewhere you could spend a long evening! Where to eat in Cadiz to make you feel like a million dollars? Café Royalty! I felt like I could be in one of Paris’s top cafés when I entered Café Royalty. With exquisite décor, panelling, ornate murals on the ceilings and accents of gold throughout, it really is a stunning place. The cafe has an enticing lunch and dinner menu, but I’d recommend stopping by mid-morning for a coffee and a plate of picatostes – fried bread covered in sugar. They’re guaranteed to give you the energy you need to continue sightseeing! 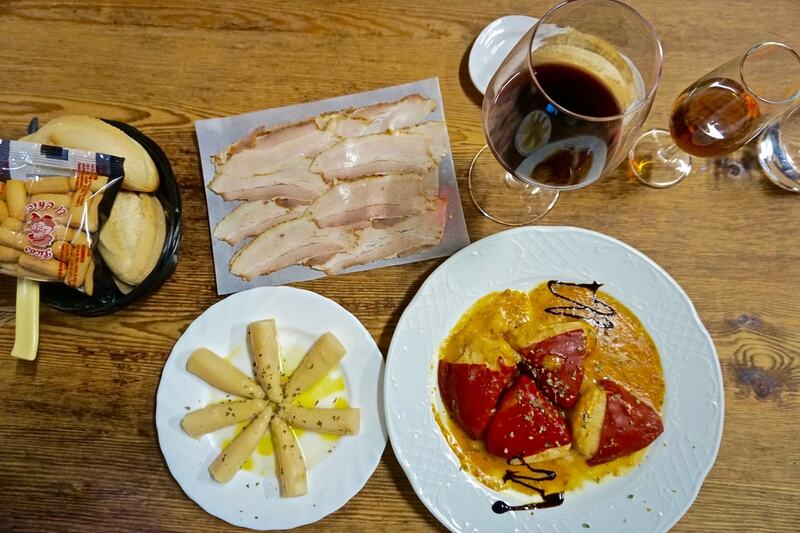 While Cadiz is full of simple, traditional tapas bars, there are a few that pride themselves in offering something completely different. La Candela is quirky, arty and along with delivering great flavours, the presentation of the dishes is fab too. It can get busy, so consider booking. I absolutely loved the gooey hot croquettes, but the marinated tuna with roasted vegetables was my top pick. 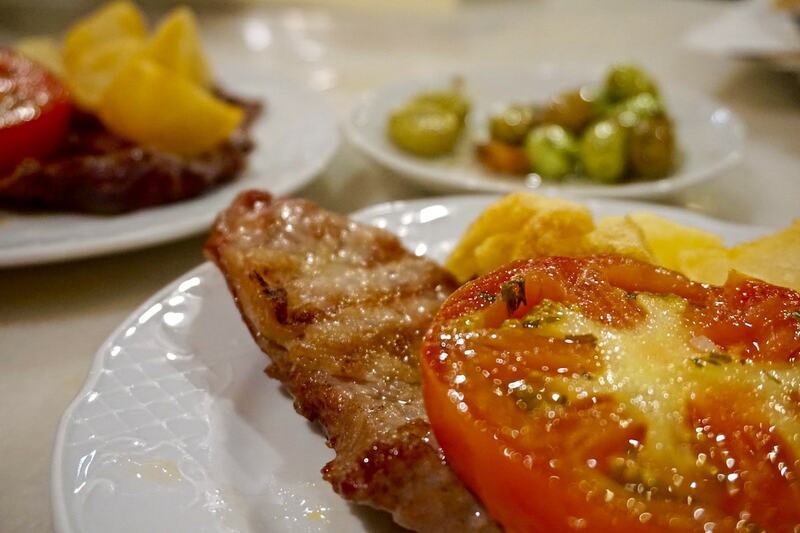 It was one of the tastiest things I ate while in the city and in my opinion, some of the best tapas in Cadiz. 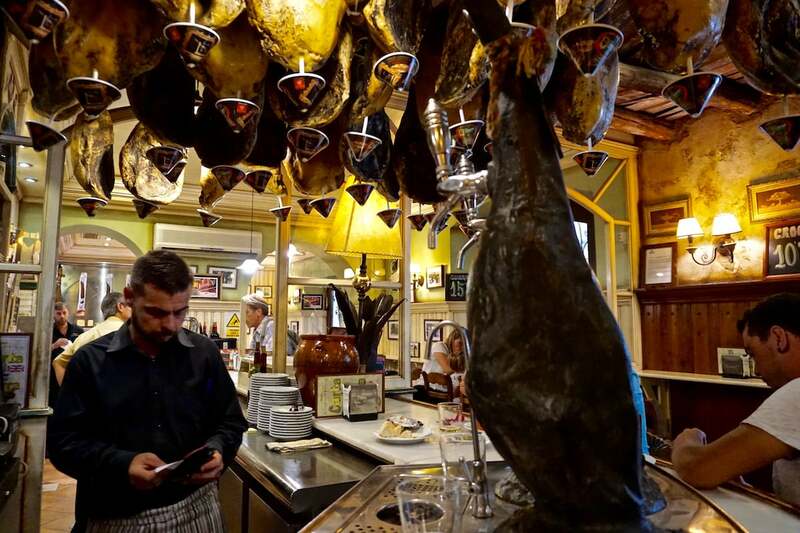 Here’s one of the city’s most traditional tapas bars. It’s clad in wood and has hams hanging from the ceilings and walls. Even the cerveza pumps look like legs of jamon! So it goes without saying you should definitely try the pork dishes – solomillo secreto was my favourite. Alongside some of the pork dishes they serve delicious garlicky tomatoes. Mmm! This is the kind of bar you can pull up a chair at the bar and chat to the locals, or nestle into a cosy corner and spend all evening drinking and snacking. I really loved the laid back atmosphere. La Marmita Centro is the central offshoot to the La Marmita brand, which already has a restaurant in the new city. The smart restaurant serves exciting modern Spanish cuisine with a twist. On my visit, I enjoyed a 5-course tasting menu (very reasonable at just 25 EUR). Dishes included a cone of tuna and avocado tartar, mussels with seaweed, Iberian pork with bulgar wheat, and Jack Daniels smoked pork (yes it was actually smoking as it came to the table!) They offer excellent wine pairings and I thought the service was excellent. The waiters were full of information and I left feeling I’d really learned about what I was eating. Another local fave, you’ll need to arrive before 9pm to grab one of the few tables in front of this popular tapas bar. It’s so small, there’s barely room to turn around inside! For me, this had a really great atmosphere and energy. People spilled out onto the streets, catching up, snacking, drinking and having fun. I was recommended the cuttlefish meatballs (black from the ink), but my favourite dish was the tortillitas de camarones (a baby shrimp fritter). 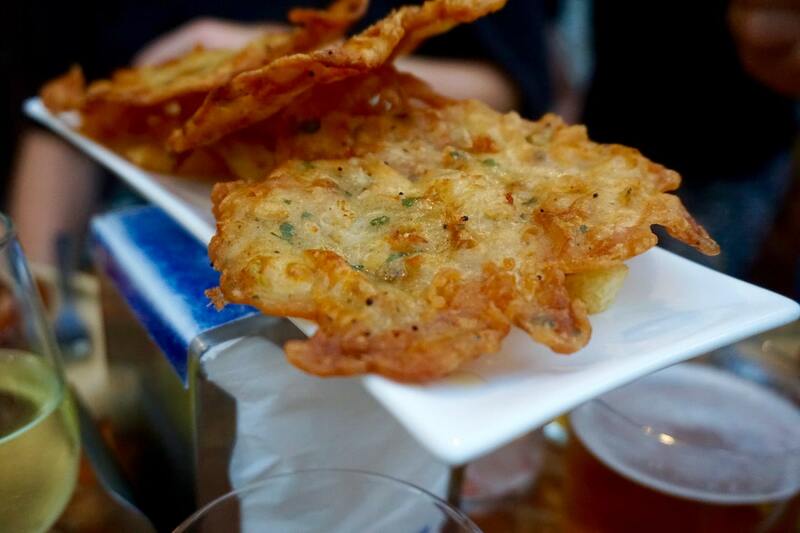 Crunchy and delicious! Sopranis – Top pick in the city, mentioned in the Michelin Guide and located right near the Cathedral. Modern, creative cuisine including sardine ceviche salad and zucchini cannelloni stuffed with sea hedgehog. El Faro de Cadiz – Very famous spot in the Viña neighbourhood. The Lighthouse (El Faro) offers great seafood, and if you don’t fancy a big sit down meal (which can be on the pricey side) you can take a seat at the bar and have a drink accompanied by tapas. La Taperia de Columela – I really wanted to visit here after hearing about their legendary sandwiches. I’ve also heard their tapas are more interesting than the average Cadiz bars, and I would have loved to try the millefeuille cod, and octopus with caramelized onion and avocado! Sounds divine. Balandro – Right by the Alameda Apodaca Gardens and Plaza Mina, this tapas bar uses fine ingredients to create some wonderful sounding dishes. Along with plenty of seafood (clams, prawns, and even sea urchins) they have a few meat dishes with truffle that sound incredible! Next time…! Thanks to Spain and Cadiz Turismo for inviting me to be part of the #SpainCities campaign. As always, opinions are my own and as you can probably tell, I absolutely LOVED Cadiz!